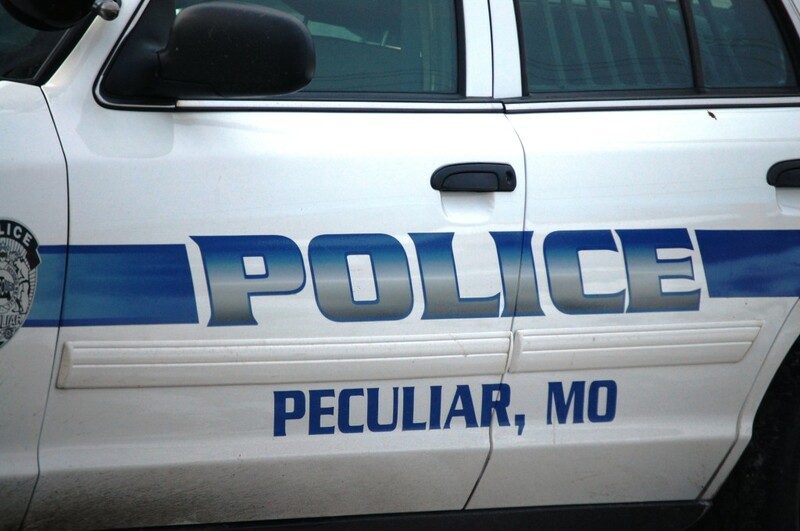 Just as there is a Normal in Illinois, there is a Peculiar in Missouri. 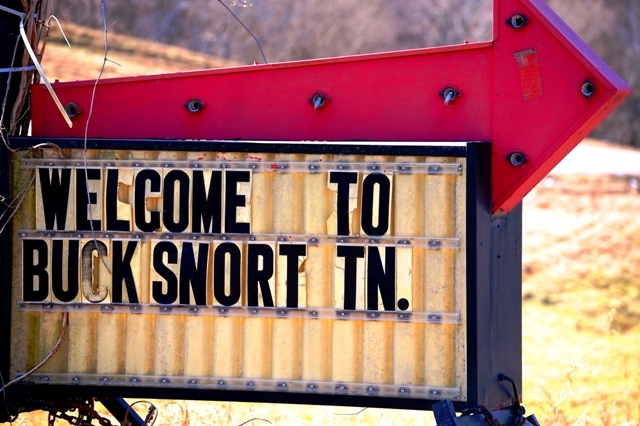 Yes, this is more than a strange name for a town, it is a Peculiar name. 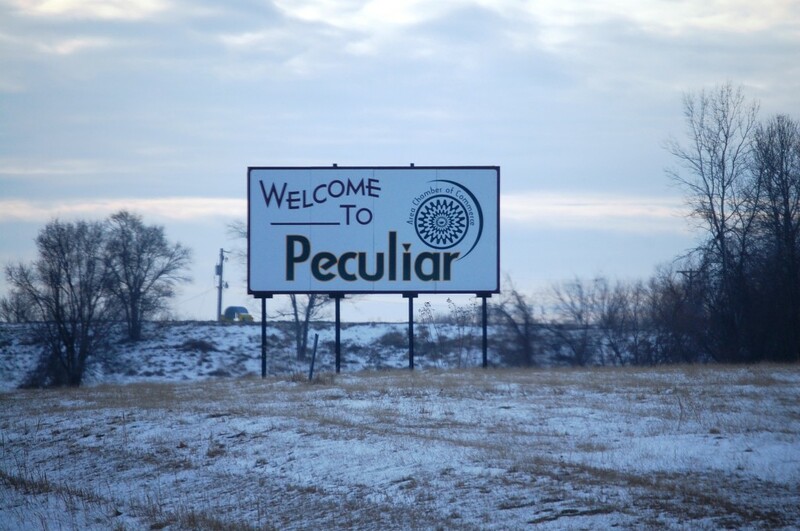 On a trip to Kansas City in January 2011, I made my way to Peculiar. I love hitting places like this. 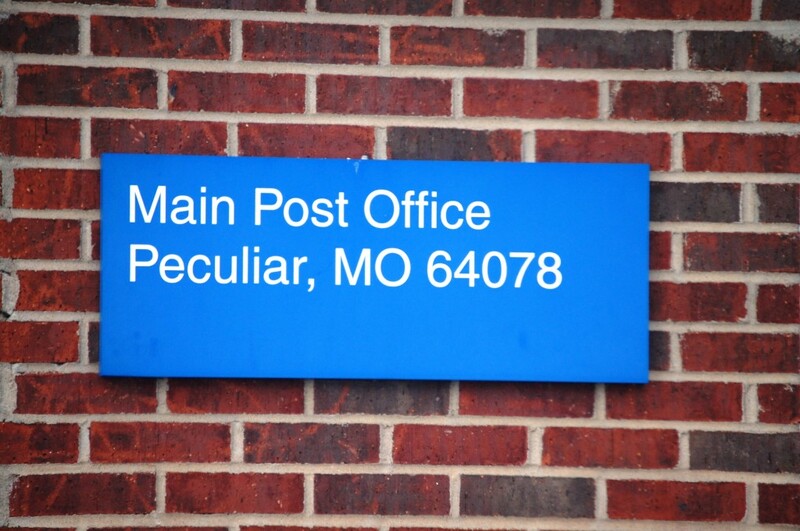 According to legend, Peculiar received its name when the first postmaster, Edgar Thomson, had his first choice, Excelsior, rejected because it already existed in Atchison County, MO. Apparently, a number of other choices were also rejected. So, the annoyed Thomson wrote to the Postmaster General to complain saying, among other things, “We don’t care what name you give us so long as it is sort of ‘peculiar’.” Thomson submitted the name “Peculiar” and the name was approved. The post officewas established on June 22, 1868. 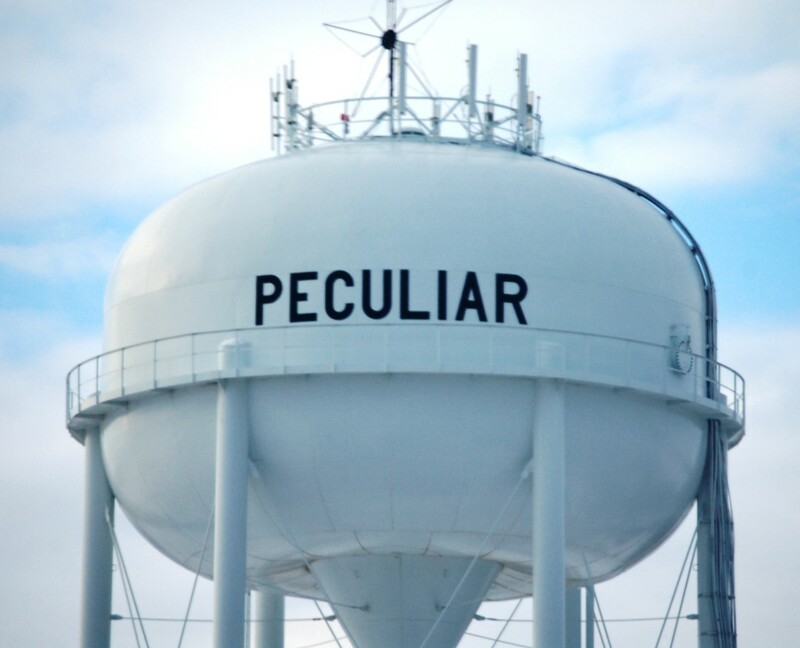 Peculiar was later incorporated in 1953. 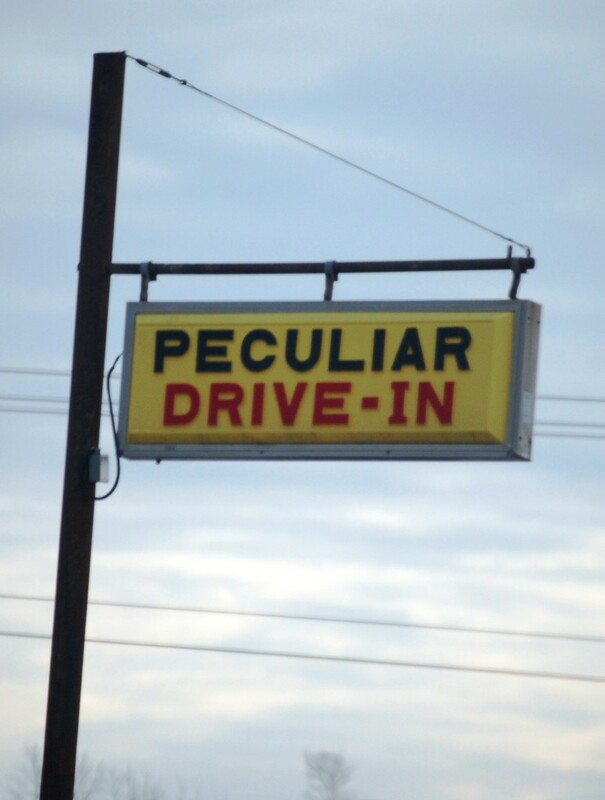 It is fun to drive around a town like Peculiar and notice all of the peculiar things. Here are a few. 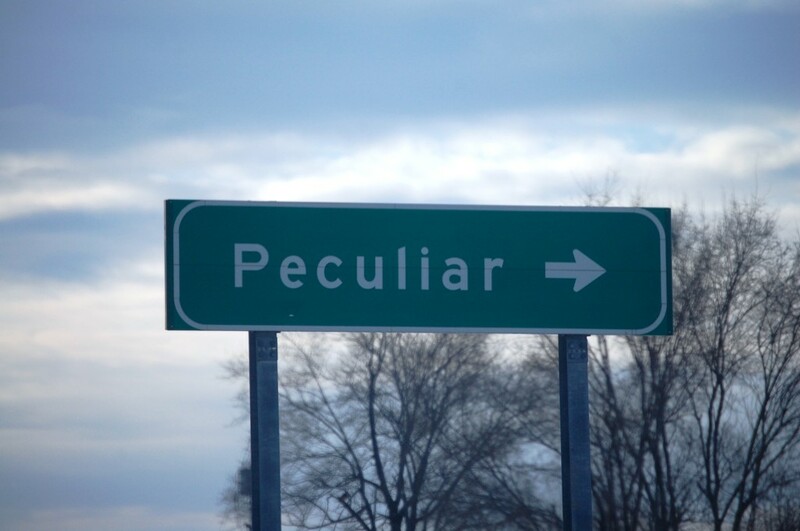 I have been to lots of places in the US and Canada with interesting place names. Today’s post is the first of many to show the place. In some cases, all I have is a sign. 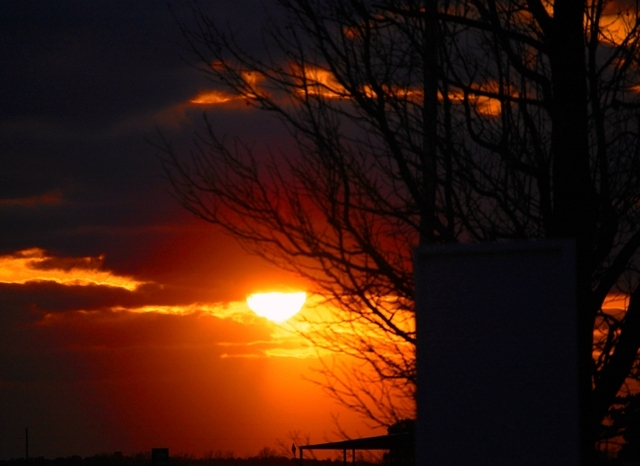 In others, there are stories to be told. 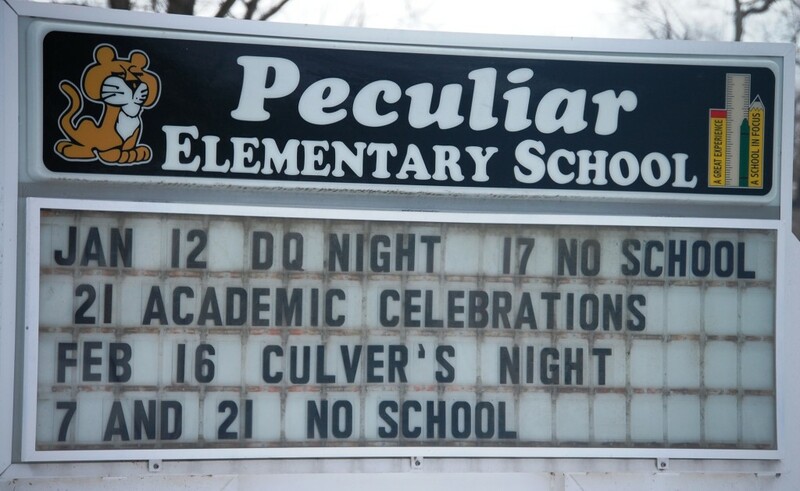 Originally settled as North Bloomington in the 1850’s, the town was the home of the first “normal school” in Illinois. Based on the French teaching schools, the term “normal” was the general name for all schools set up to be teachers’ colleges. The bill stipulated that the permanent location would be the place that offered the most favorable inducement. Jesse Fell took up the campaign for Bloomington and obtained financial backing totaling $141,000, which surpassed Peoria, the closest contender, by $61,000. Abraham Lincoln, in his capacity as an attorney, drew up the bond guaranteeing that Bloomington citizens would fulfill their financial commitments. 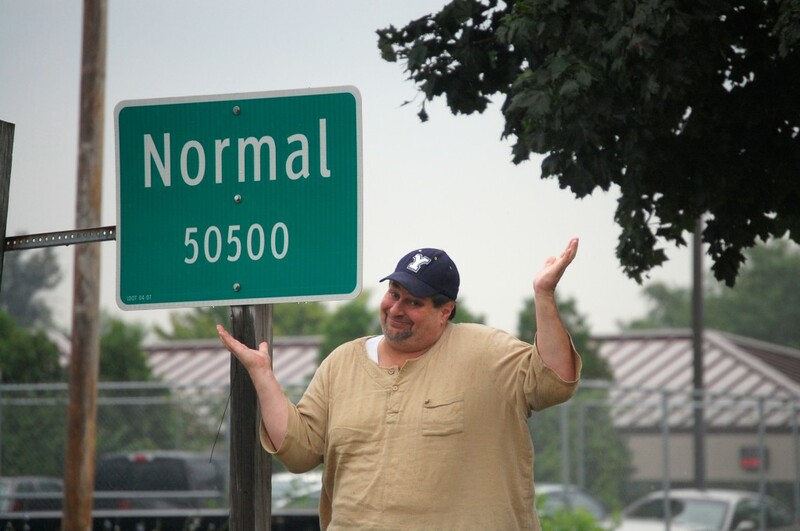 The town officially was called Normal in 1865, based on the school of the same name. 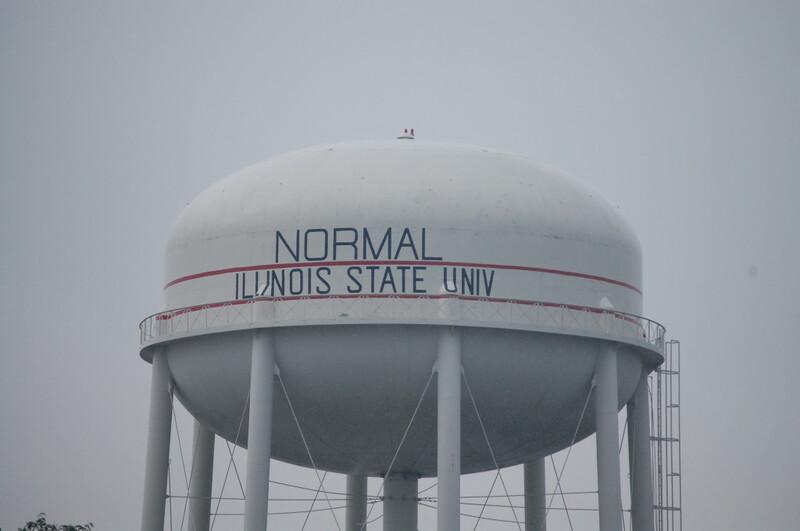 The school eventually became Illinois State University, but the town has remained Normal ever since. Johnny Cash had a famous song in the 1990s (a remake of a Hank Snow song actually) which stated “Ive Been Everywhere”. In some respects that could be my theme song. I have been very blessed in my short 55 year life to have traveled far and wide across these United States and even into Canada and Mexico. Indeed, I have been to almost every major city in the country and most in Canada (with the exception of eastern cities in Canada — from Montreal on). I have been to every state in the union except for Maine, Vermont and New Hampshire (and yes, I have been to Hawaii and Alaska!!). 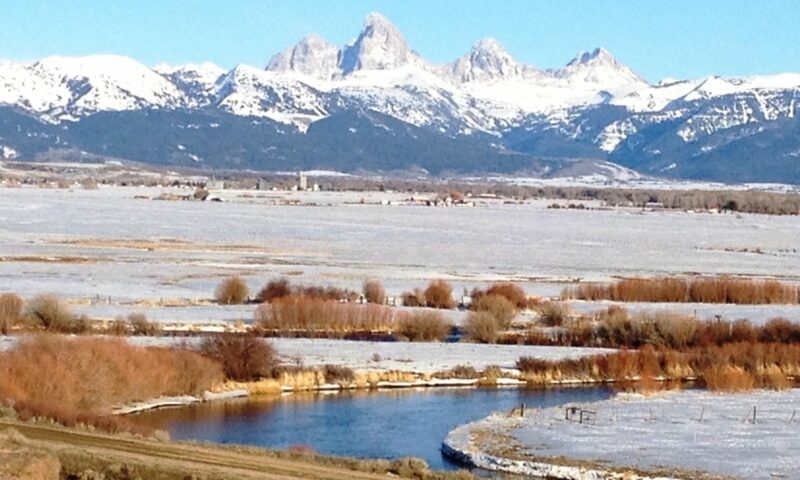 I have been to most National Parks and Monuments, major museums and tourist spots. 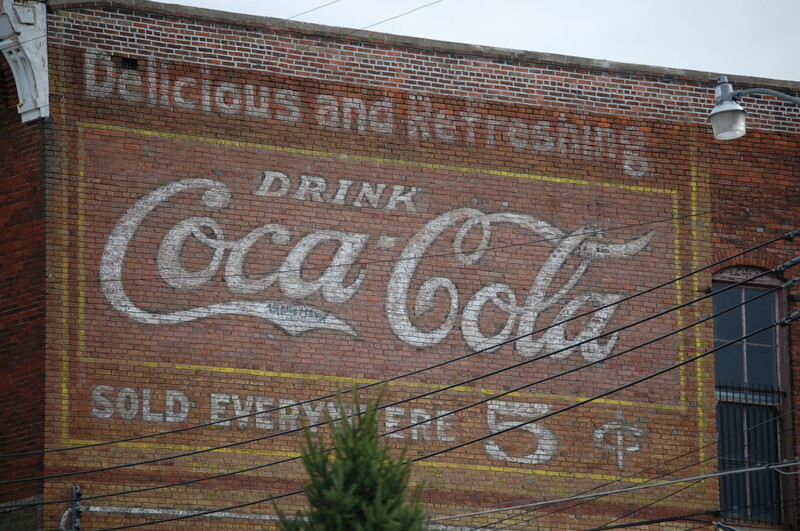 But, with all the places I have gone, the back roads of America have been the most fun. 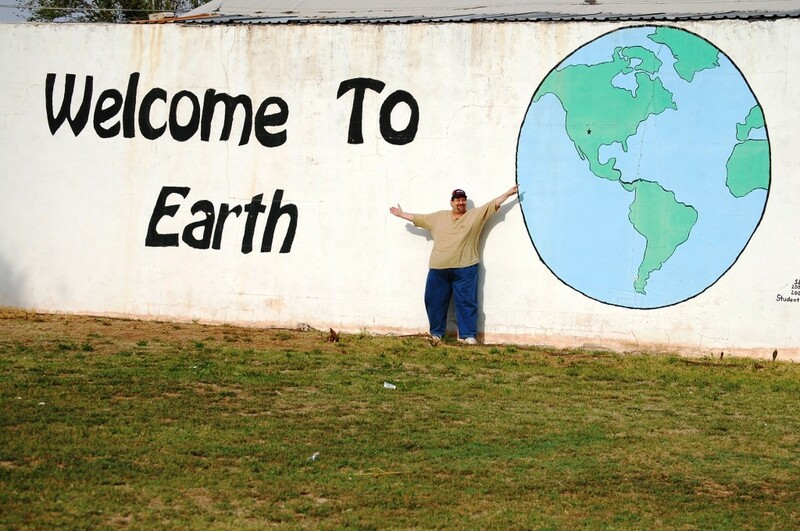 Lots of great places, and some not so great. Great names, great views, unexpected treats. That is what I hope to provide in a daily dose of enjoying the ride. I hope all that read will enjoy.